Not since Nicolas Winding Refn’s Neon Demon has there been a film so divisive, so controversial, and so uncomfortably pointless as Darren Aronofsky’s bonkers, allegory-ridden film mother! Heavily relying on biblical parables, mother! combines fevered depictions of humans versus mother nature, grotesque creation myths, parables of artistic obsession, all while delivering a psychological horror story of an introvert’s anxiety. Aronofsky’s only success with his latest film is making a film so fully engrossed in itself that is somehow manages to be about everything and yet absolutely nothing. The official synopsis for the film is unsurprisingly vague: “A couple’s relationship is tested when uninvited guests arrive at their home, disrupting their tranquil existence.” Aronofsky avoided mass publicity for his latest film, choosing secrecy as his marketing strategy instead. When asked what mother! was about before its release, Aronofsky avoided divulging any details, fobbing off the media with a series of self-congratulatory statements like it’s “a cruise missile shooting into a wall”, “a very intense ride”, with “home-invasion elements.” But after watching the film, one can only assume that even Aronofsky himself didn’t quite know what the point of his self-indulgent cinematic scatter graph was. 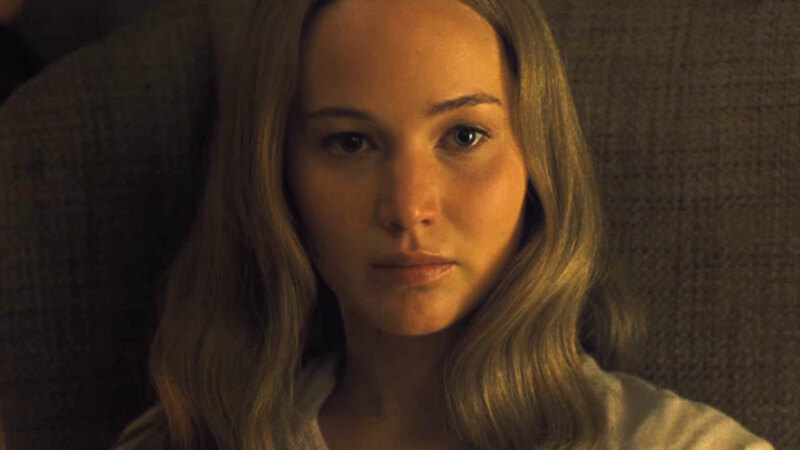 Mother!, which is far too preoccupied with being universally meaningful to give its characters names, plays out within the confines of an isolated mansion where a young housewife (Jennifer Lawrence) and her writers-block stricken husband (Javier Bardem) live in peace and quiet. We learn that the house is his and that it was burnt down at some point in the past. She, meanwhile spends all her time restoring the house, cooking, cleaning, and submitting to her husband’s demands on her as his muse. As upsetting as this depiction of subservient “domestic bliss” is, the real trouble begins when a stranger (Ed Harris), pays an unannounced visit to the house that night. While Lawrence, aka “mother”, is wary of this unknown man, her husband, The Poet, readily invites him in and insists that he stay the night. Soon Harris’ wife (Michelle Pfeiffer) joins them and proceeds to add a jolt of humour, asking “mother” intimate questions, creating chaos in the kitchen when she prepares spiked lemonade, and completely disregarding any of her hostess’ concerns about personal space. It’s not long before the strangers’ feuding sons (Domhnall and Brian Gleeson) arrive at the house and it’s from this point onwards that Aronofsky’s biblical resonance really becomes apparent. As more and more visitors descend upon the house, all hell (figuratively and literally) breaks loose. Mother! is an infuriating and puzzling roller coaster whose stomach-churning twists and turns end in a ride that just falls off the rails. Aronofsky’s suffocating allegorical layers lack the subtlety they so desperately need in order to actually make an impact. And, like the house that’s being invaded in the film, Aronofsky disturbs our psyches with punch after punch of parabolic pontification that ends up being not only tiresome, but also obnoxiously half-baked. The film’s Goya-esque crescendo is a poisonous Pick ‘n Mix of messages that converges so many different statements through its imagery, that mother!’s climax seems to give up on caring what it’s trying to convey, so long as audiences walk away with something. But with his dizzying barrage of increasingly over-the-top atrocities, Aronofsky’s final act is bewilderingly heavy and just too messy to take seriously. Perhaps the most abhorrent aspect of mother! is the fact that, among the uncomfortable ugliness that unfolds before us, Aronofsky is clearly trying to make a statement about the neglect and mistreatment of women. Yet in seemingly trying to do so, the deluded director creates an altogether hypocritical and fundamentally misogynistic portrayal of women’s place in society. 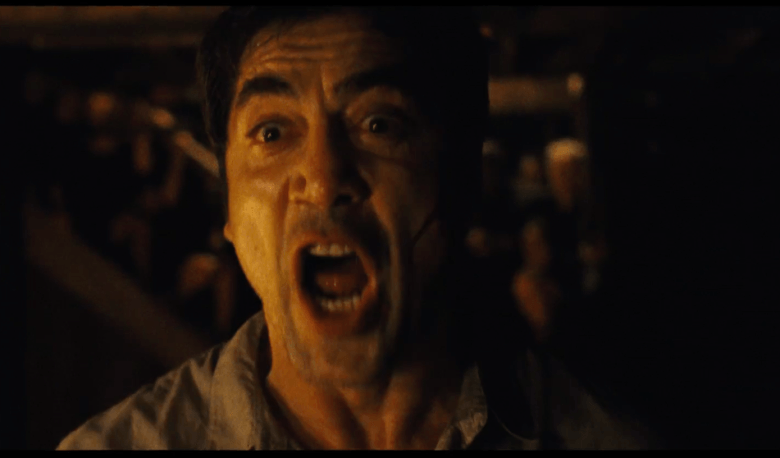 Although the entire film is seen through “mother’s” eyes, and intimate handheld cameras give us her dizzying, sickened perspective on events that are menacing her at every turn, the main female character exists solely in order for abuse to be heaped upon her. This faux-feminism might be vindicated in some way if “mother” had been portrayed as more than just a vessel for her husband’s self-pitying need for validation. But the sheer hatred of women that Aronofsky rains down upon his main female character leaves an unsavoury after-taste and little redemption for this directorial choice in the final scene of the film. Although mother! lacks the depth Aronofsky tries so hard to deliver, the individual actors’ performances are altogether worthy of praise. Lawrence’s portrayal of a woman ridden with anxiety is truly commendable, and her emotive acting is engaging on the most sensorial of levels. Bardem too, does what he does best here as a grinning, menacing force, full of an uneasy energy that captures his character’s opaque motives. Mother! is played out completely without an accompanying score, meaning the film successfully relies on the actors in order to convey the stressful anxiety that pervades the entirety of the film. Mother! is in no way, shape or form a comfortable watch, and its bewildering determination to pack as many punches as possible sadly leaves its audiences wanting to throw in the towel by the final act. Aronofsky claims to have written the screenplay in five days, which isn’t hard to believe given its messy and confused delivery. Mother! assaults and tortures its viewers in every way possible, and its pompous allegories offer nothing but sheer pointlessness. Aronofsky is very much the little god of his disgusting, biblical cinematic smorgasbord, and his depiction of the almighty man in need of praise and gratification is pure directorial autofellatio. Save yourself the money of going to see mother! and bash your head against a concrete wall for two hours instead. The end effect will ultimately be the same…!